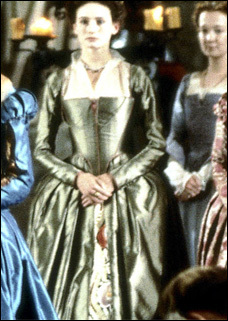 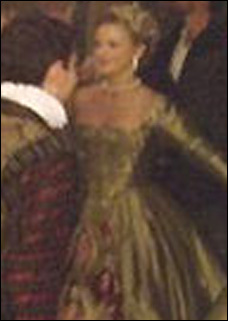 This gown, made for Elizabeth in 1998 has been used several other times. 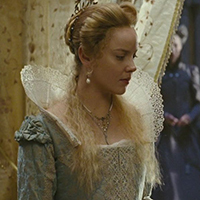 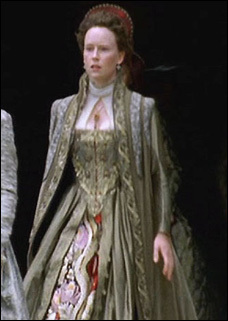 When it was used in 2005 for HBO's Elizabeth I starring Helen Mirren, the top was decorated with a different fabric. 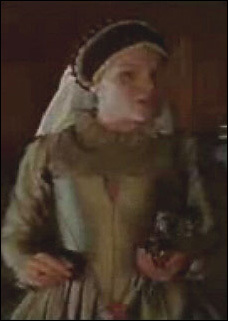 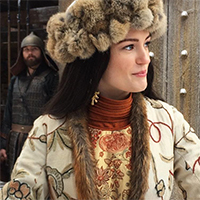 From then it went on to be used in firt and second season of The Tudors, the first time with a red velvet robe over it.